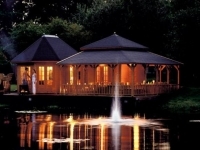 UK Log Cabins are a long standing supplier of high quality timber buildings with a reputation for excellence acquired over 3 decades. 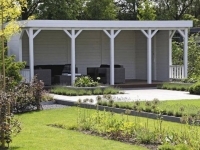 With extensive experience in designing and building attractive garden buildings and timber structures, we offer a wide choice of garden gazebos and pergolas for sale that are built to last. Timber gazebos and wooden pergolas can add a welcome focal point to any garden, while offering practical and useful undercover outdoor space. By inserting timber wall panels between the posts, you can provide extra wind protection or create a useful screen to hide unsightly areas of your garden. 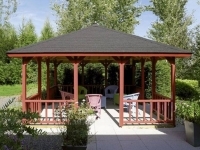 As an outdoor shelter, gazebos can serve as covered seating areas, smoking shelters or BBQ areas. At UK Log Cabins, our expert team completely understands customers’ expectation for products that meet their specifications. That’s why we encourage you to share your vision for a gazebo or pergola in your garden with us. Let us know exactly what you’re after and our experienced team will be able to advise on all the options and recommend the best garden solution for your particular requirements. 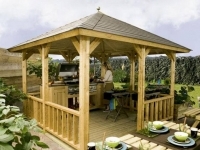 We have a vast range of wooden gazebos and timber pergolas on offer for gardens of all sizes. Take a look at our product range below to get an overview of what is available. 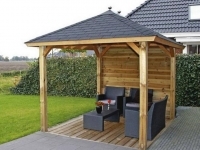 Gazebos and wooden pergolas come in many standard sizes including 3m x 3m, 4m x 3m, 4m x 4m. 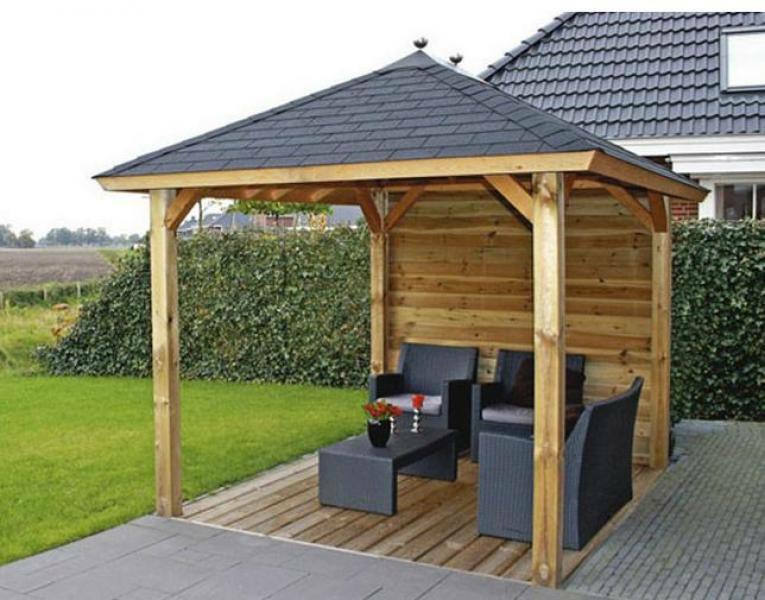 In addition to square gazebos, we can supply hexagonal and octagonal wooden gazebos and even L shaped gazebos. What’s more, we have our own dedicated factory that is specifically set up to produce one-off timber structures, meaning we can customise and build gazebos and pergolas to any desired bespoke size. 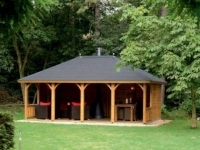 With over 25 years’ solid experience of timber framed buildings, UK Log Cabins are expert suppliers of all kinds of garden buildings including gazebos and pergolas, timber garages, garden offices, summer houses and log cabin sheds. We are proud of the quality of our wooden buildings in terms of their appearance, performance and sustainability. 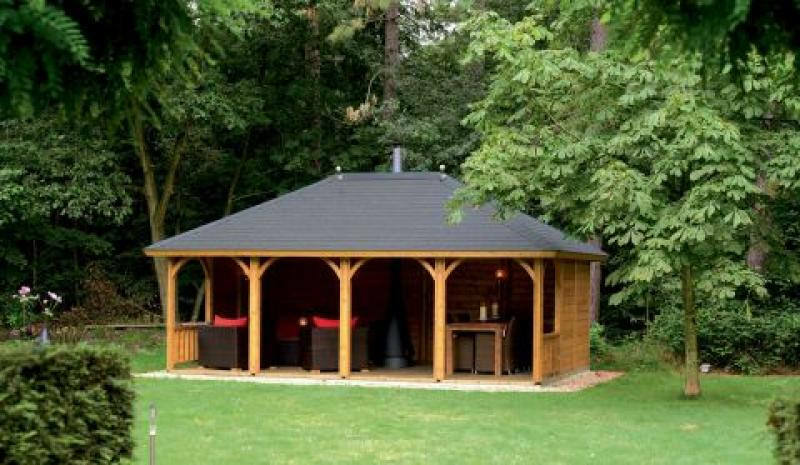 At UK Log Cabins, we construct log cabin timber gazebos and pergolas using environmentally friendly materials and sustainable timber, locally if at all possible. In this way, we can reduce our carbon footprint and act responsibly to help protect the environment. Please note that we supply all our gazebos untreated. Some of the manufacturers we deal with are able to offer factory painting or other treatment options – please ask us for details. Our wooden garden gazebos and pergolas are quick and more economical to create and construct than many other building alternatives, making them excellent value for money. We offer free delivery to most UK locations and a competitive pricing policy with price matching wherever possible. For a wide selection of garden gazebos and wooden pergolas on display including square gazebos, traditional post and beam gazebos, L-shaped gazebos and lean-to gazebos, visit the UK Log Cabin showground near Horsham, West Sussex. Our specialist sales team will be on hand to answer any queries and guide you through all the options. We’re open on weekdays 9am-5pm and on Sundays 11am-5pm. For an immediate overview of our wooden gazebo and pergola product range, browse our comprehensive online catalogue for in-depth information including size and height specifications. Of course, you can place an online order too. 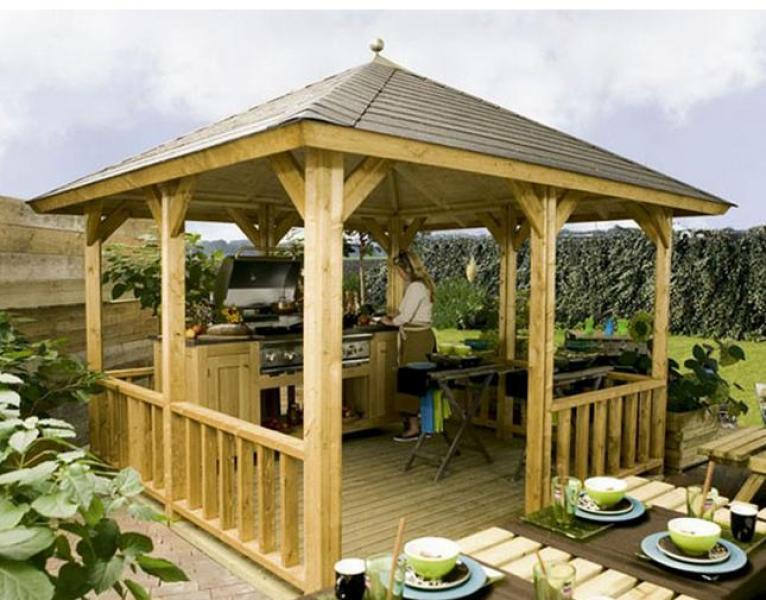 For expert advice and further details of any timber garden building including wooden gazebos and garden pergolas, please contact UK Log Cabins on 01293 822722 or email a short message via our Contact Us form. We look forward to being of service.